The Aqua 7 Bag is compact, lightweight and packed with many practical features. The i-Dry system from BIG MAX uses 100% waterproof material, taped seams and has waterproof zips. The Aqua 7 carry bag weighs just 1.7kg and offers all of the practical features and much more. These features include 4-way golf club divider system to help separate your clubs and has a moulded grab handle for ease of use during transportation. 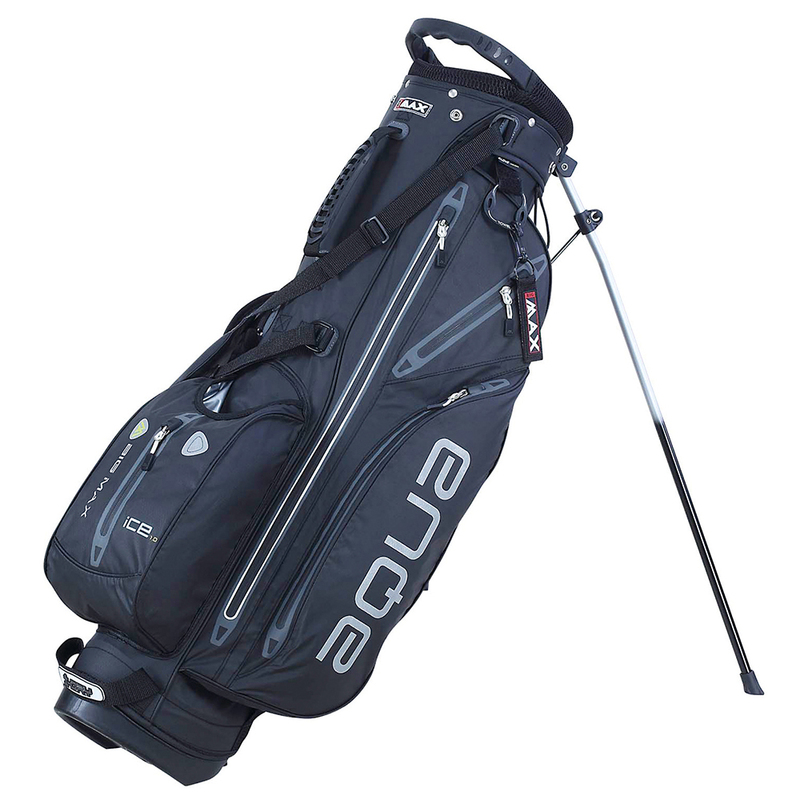 To assist you around the golf course the bag has a glove, towel and umbrella holder, scorecard pocket, large cool compartment, and has comfortable carry straps. The bag comes with matching rain cover to help protect your clubs from the weather.